Jihad Watch : Siraj Wahhaj is one of the most prominent and respected imams in the United States. His son, Siraj Ibn Wahhaj, was training children for jihad massacres. Is anyone in authority or in the establishment media going to ponder the implications of that? Almost certainly not. But you can be sure that if this were the son of any prominent conservative, the father would be under investigation today. 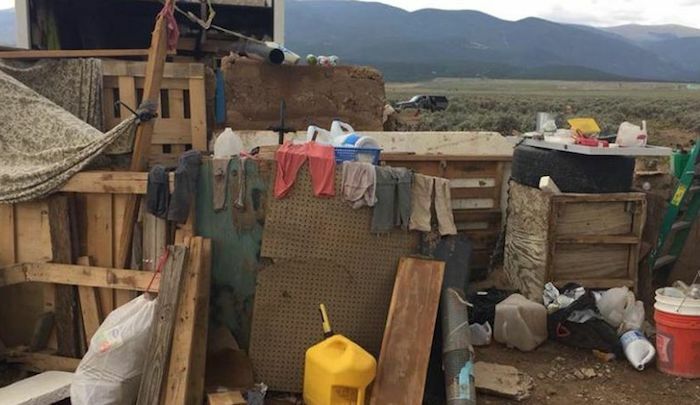 “Man arrested at New Mexico compound was training kids to commit school shootings, court documents say,” by Nicole Darrah, Fox News, August 8, 2018 : The father of a missing 3-year-old who was arrested at a New Mexico compound last week was training children to commit school shootings, court documents filed on Wednesday revealed. Prosecutors allege Siraj Ibn Wahhaj, 39, was conducting weapons training on the compound, where 11 children were found hungry and living in squalor. They asked Wahhaj be held without bail. Authorities raided the compound on Friday after a monthslong search investigating the disappearance of Abdul-ghani Wahhaj, a boy with severe medical issues who went missing from Georgia in December.